Been just about a year. It’s amazing what a year can bring. 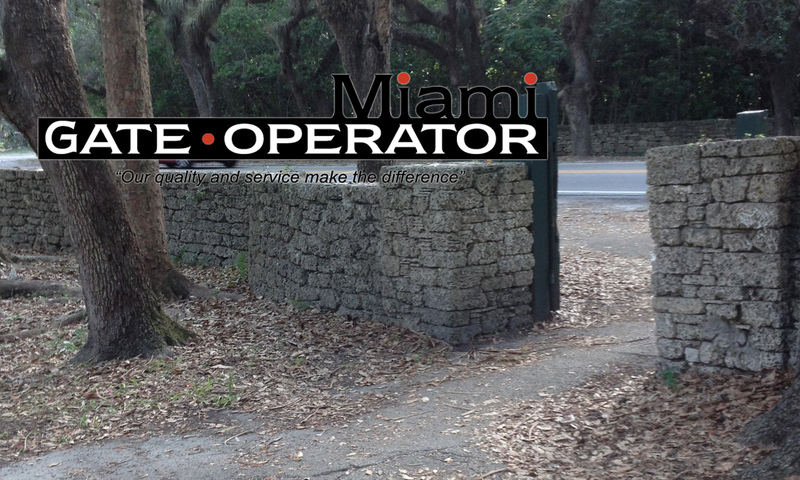 Miami Gate Operator Co. has continued to expand. We are just a little bigger than we were last year. 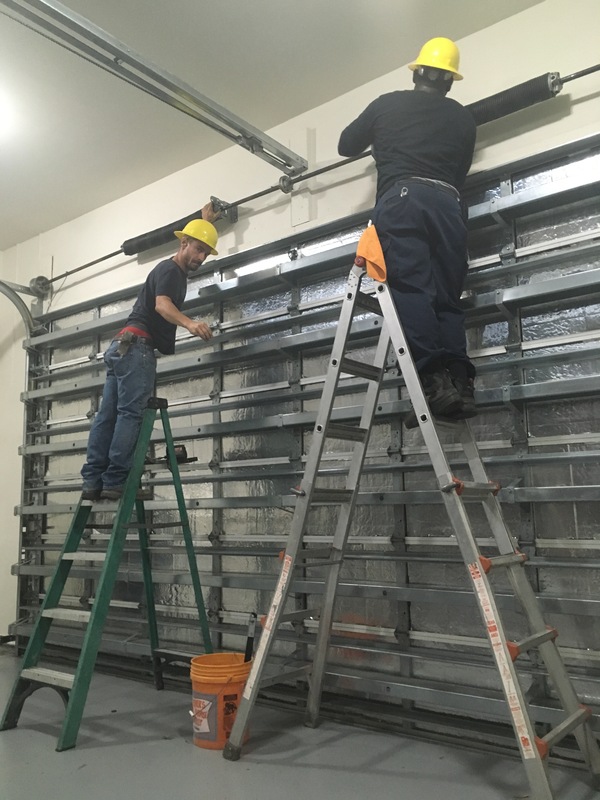 We’ve started maintaining and installing garage doors. Like everything we do there is a learning curve and we train and practice. We joined IDA , The International Door Association, in order to get in touch and become informed with things related to our business. We have already forged relationships with suppliers and industry experts so that we can pass on that knowledge and take care of our customers correctly. Florian and Antonio on the job. We know that just like everything we do, it has to be done right the first time. When I was a kid I remember Sy Syms and his daughter Marcy coming on the television in one of their possibly now, maybe not quite infamous TV spots saying things about clothing and then somewhere along the line adding their tagline “An Educated Consumer is our Best Customer.” I doubt I really understood what that meant. I think I thought it was sort of a backwards slap in the face, kind of like a taunt. 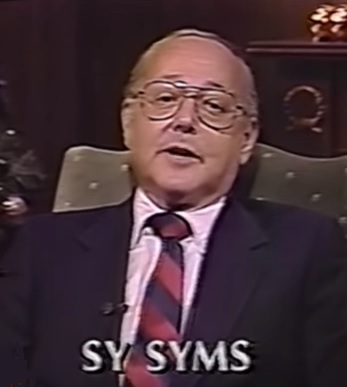 Like, you weren’t an educated consumer if you didn’t shop at Syms. Maybe you were a moron. Over the years I’ve come to realize that in our business there are a lot of products that basically do the same thing; open and close gates. There is a problem though, most people don’t realize the differences in the equipment and the differences in the installation. I don’t think it’s a problem of being educated or not educated as much as it is a problem of being informed or not informed. This may seem inconsequential but it’s something that we, as a reputable installer have to take into consideration. It’s true that this adds another layer of cost to the installation. Gate operators and access control I think, can be an asset, not just an additional convenience but a real asset that adds value to a residence or business. If done correctly they can add years of worry free service but also if done correctly and professionally with an eye on detail, they can add real value. I want to think that when Miami Gate Operator does an installation or even a repair, we take into account the things we’ve learned about the equipment and the installation of that equipment and we do the best possible job. 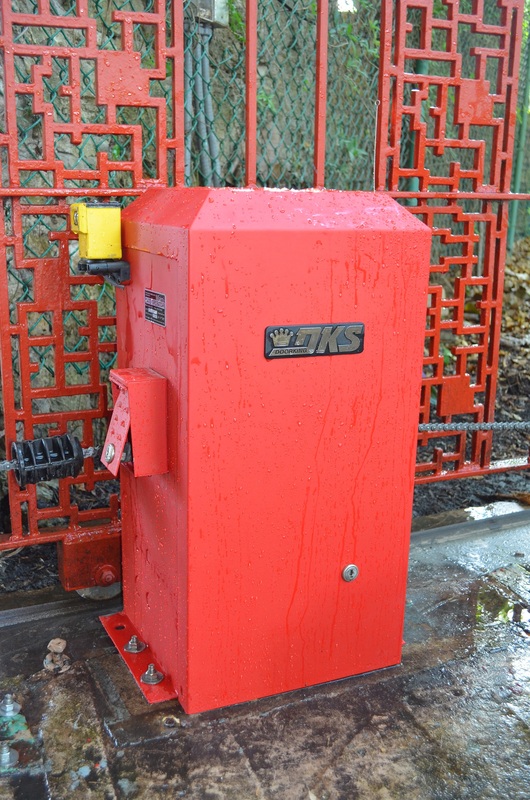 This is a ten year old Door King 9100 gate operator. Our customer, The Kampong in the Grove, the location of the former winter home of Dr. David Fairchild, needed an updated but budget priced gate operator. We had just the thing. This location is a great place for a former high traffic gate operator to retire. 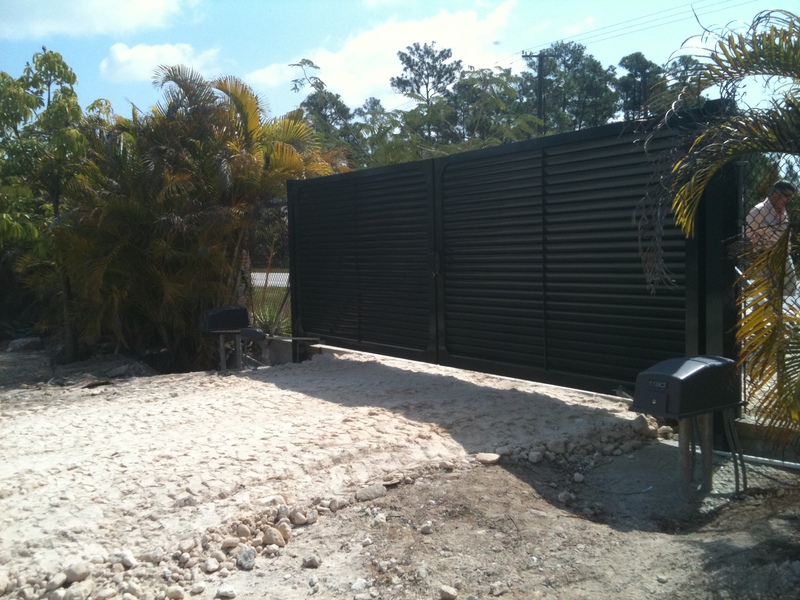 The 9100 can pull and push the heavy steel gate with no problem. We installed a new main shaft, new bearings, new belt and a surge suppressor. This operator will last a long time. One of the things we wanted to do was give it a new finish. So before overhauling we stripped it down and had it powder coated this cool red color to match the iron work at the Kampong. It’s almost iridescent. Door King 6100’s in the islands……..
We do work wherever it is needed. Sometimes that takes us to the west coast of Florida, a lot of times to the Keys (where we love to go) and sometimes to the islands. 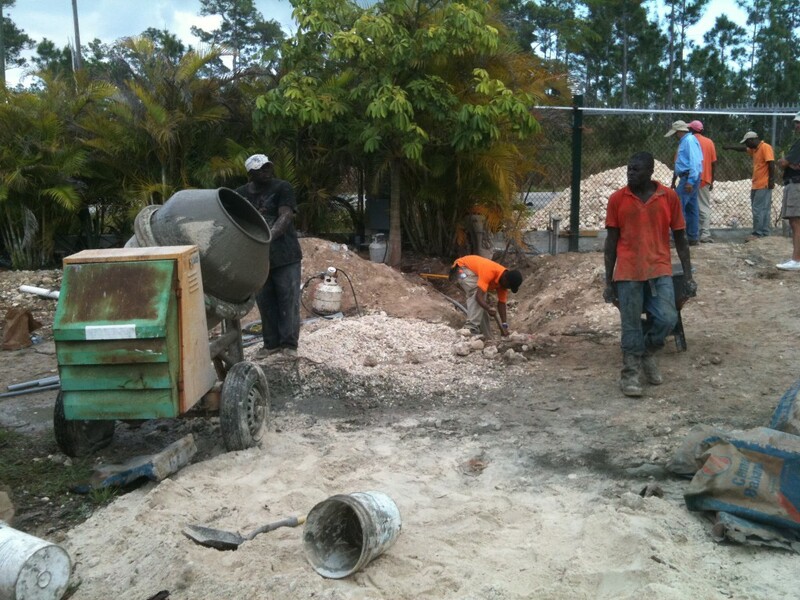 Island work requires very critical planning due to the availability of equipment, material and parts. The gates in this post were all prefabricated by a local artisan craftsman and the operators were preassembled by us and shipped. What is really cool about these Door Kings is that all the exposed steel hardware was replaced with stainless steel hardware. We fabricated stainless steel knuckles and stainless steel post mounting kits with stainless steel arms. 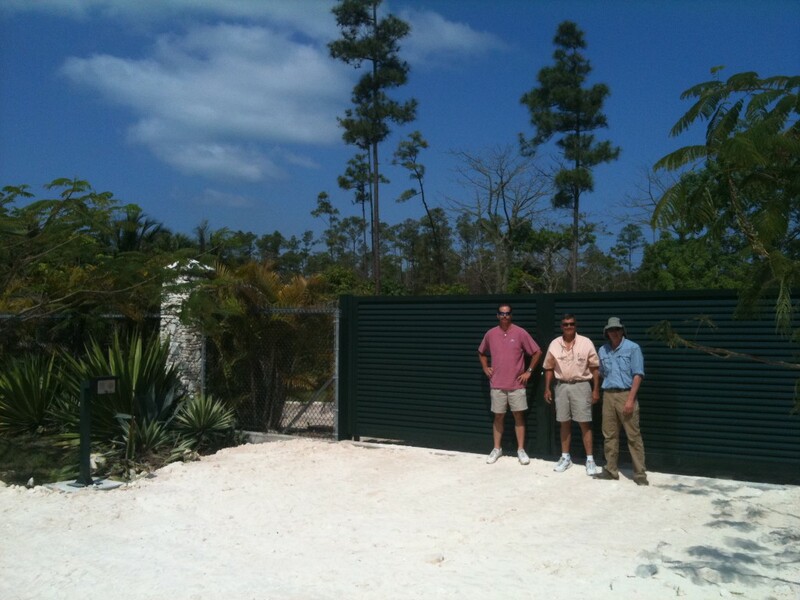 We had two days to install gates, operators and telephone entry……. 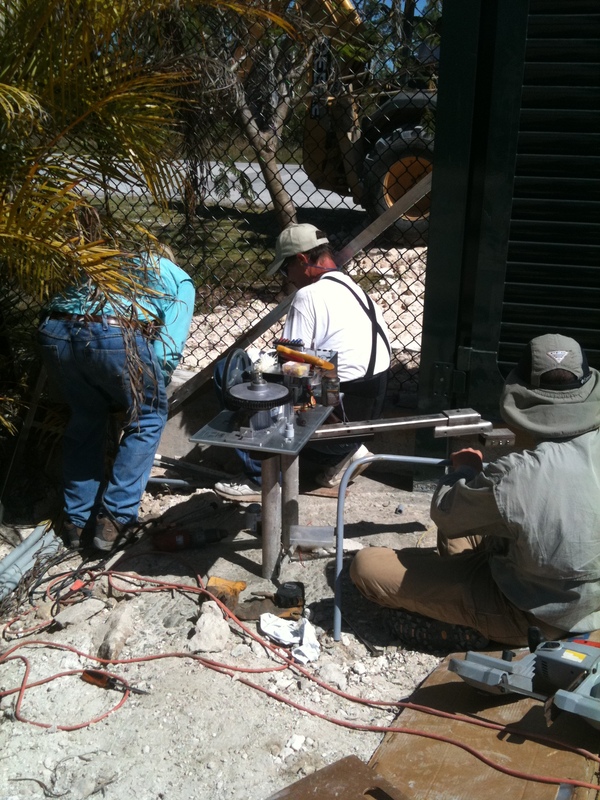 Everyone worked well together, electricians, gate installers and gate operator installers. Door King 6100 Swing gate operators with all custom stainless steel hardware, arms and mounting kits. 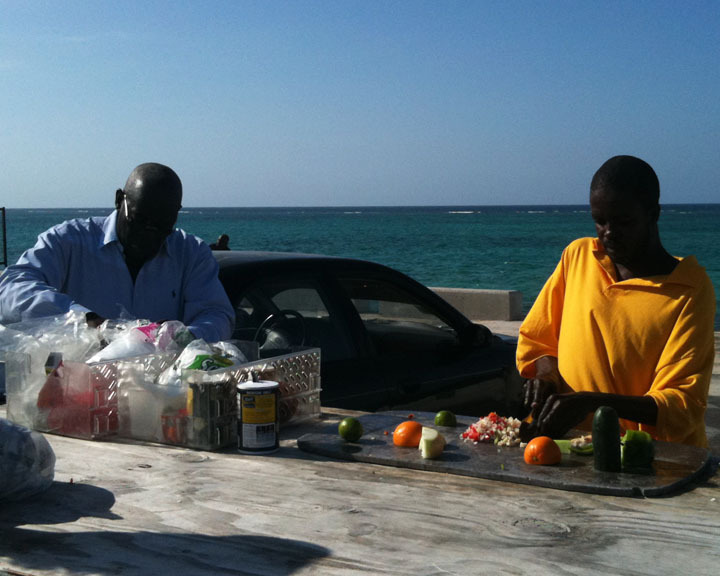 One of my favorite things is getting fresh conch salad.